Bhumi Pednekar says she does not choose roles which present her in different avatars but focuses on the story of the films. The actor, who made an unconventional Bollywood debut with "Dum Laga Ke Haisha" and went to on feature in films like "Toilet: Ek Prem Katha" and "Lust Stories", said she always has faith in a director's vision. "I do not run behind any avatar, I run behind story. If the story is strong then I do it. A director and writer are the anchor and you put your faith on them," Bhumi told reporters at the promotional event of her upcoming film "Sonchiriya" here. When director Abhishek Chaubey approached Bhumi for the film the actor was in two minds but later accepted the offer. "When Abhishek said he is directing a film, I went weak on my eyes as he is on my bucket list, till then only 'Dum Laga Ke Aisha' had released. I met him and he told me it is a dacoit drama. I did ask him what will I do in it? When I heard the story I felt I should not leave this film. "I was feeling deep sense of loss... But then I felt I must do it. I love the way the film has come out. It is different. It was enriching for me to be part of this film," she added. 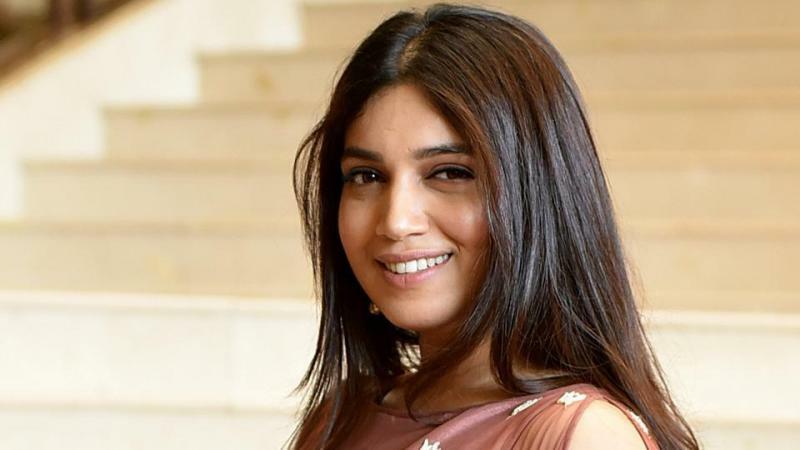 Bhumi, who has starred alongside Manoj Bajpayee and Ranvir Shorey in the film, said she is a fan of both the actors and was nervous while working with them. The "Shubh Mangal Saavdhan" actor said she has trained a lot for her role in the film, which also features Sushant Singh Rajput. "She is a strong woman in a man's world. Abhishek told me I will have to be strong mentally, physically and emotionally. Two months before the film went on floors, we started training. It is a film where you need to do preparation. "The conditions were tough. While shooting there was lot of hardwork and difficulties that we faced but nothing seemed tough as we had prepared ourselves so well. Rather, the environment added on to our characters." After doing this film, Bhumi said, she has become a "better" person.